Sian Berry is standing for the Green nomination for Mayor of London and works as a road campaigner at Campaign for Better Transport. I think everyone agrees that London would be a better place if it was easier to move around. Bus passengers and delivery vans would like to travel faster, people on bike and on foot are getting louder about their need to be safer. People driving cars are starting to realise they are the most affected by the air pollution that builds up on busy roads. We all want changes, but sometimes people are worried that it’s either/or — that better high streets, cycleways and bus lanes will cause jams, and that everything needs to be a compromise between the space needed for the traffic that’s currently on the roads in different forms. That’s certainly been the attitude of Boris Johnson and Transport for London (TfL) until recently, with ‘smoothing traffic flow’ trumping a number of much-needed improvements to cycle infrastructure and bus priority measures. But, luckily, growing amounts of evidence says that we shouldn’t be so worried. Popular changes in recent years, like the part-pedestrianisation of Trafalgar Square, the closure of side roads at one end through whole areas to stop rat running past people’s homes, and lots of smaller measures, have subtly but significantly changed London’s streets. TfL estimates that, in total since 2000, roads in central London have lost around a third of their traffic capacity and that inner London’s roads can carry a sixth fewer vehicles (PDF). Yet despite warnings that reduced capacity would be a disaster, average traffic speeds have largely been maintained. It seems that people are better at adapting to change than we give them credit for, and removing roads from through-traffic means that all the car trips don’t just go elsewhere: some of them simply disappear. A phenomenon called ‘evaporation’ (the non-evil twin of the ‘induced traffic’ that occurs when you widen roads) means that people rearrange their destinations, combine trips or simply start using other ways of moving around. Examples abound in other parts of Britain too, as well as Europe and North America, in particular New York where more pedestrian space has seriously boosted businesses. A host of examples show that making space for cycling, walking and buses doesn’t cause all the problems that people fear. If the idea of traffic just evaporating seems unbelievable, think back to the 2012 Olympics. 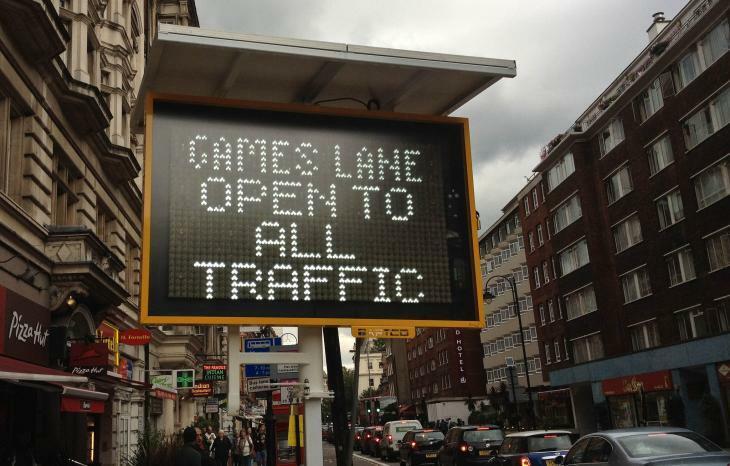 The removal of some road space for ‘Games Lanes’ along with weeks of posters and information meant that London was prepared and, every day of the Games, over a third of people changed the way they travelled (PDF) in painless and positive ways. A third of businesses used different routes for goods to avoid hotspots and restrictions and combined deliveries to be more efficient. The lessons of planning for the Olympics meant that when the Tour de France took over the streets last year, around a fifth of normal weekday traffic simply evaporated. So what does this mean for the future? Firstly, it means that London can take more immediate steps to cut the dangerous air pollution caused by excess vehicles. When there are smog warnings, through-traffic can be restricted from entering the most polluted areas and, with good communication, we can be confident chaos won’t ensue. Secondly, with temporary closures shown to be less risky, the next mayor could help make it easier to organise play streets, weekend markets and street parties, and encourage people to do all these things more. And finally, it means we can more confidently plan bolder measures to give road space to cleaner ways of getting around, and create public places to be proud of. There’s virtually a consensus among businesses and mayoral candidates that Oxford Street needs clearing of traffic altogether, and as a councillor I’ve supported Camden Council’s plans for Tottenham Court Road, which tentatively puts some faith in the principle of evaporation and cuts down on road capacity into the West End, while helping buses and cyclists and pedestrians in another key shopping area. Outer London’s Mini-Hollands are another example that does some of this, but could be much more ambitious if more faith was put in removing road space. There are many other places inside and outside central London with the potential to make the most of this idea. 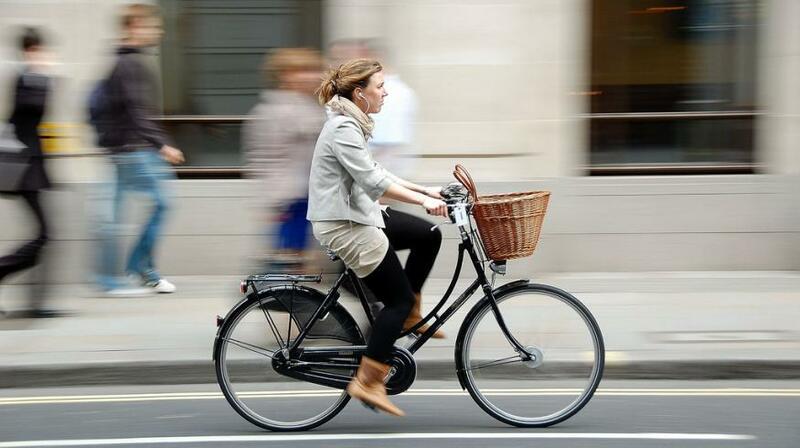 With the opening of these new bike routes as a further example to point to soon, there’s a real chance to shake off the last of the old ideas about traffic flow, embrace evaporation and do something brilliant for London’s future. As a candidate for mayor and Assembly next year I’m hoping I can be part of that revolution too.